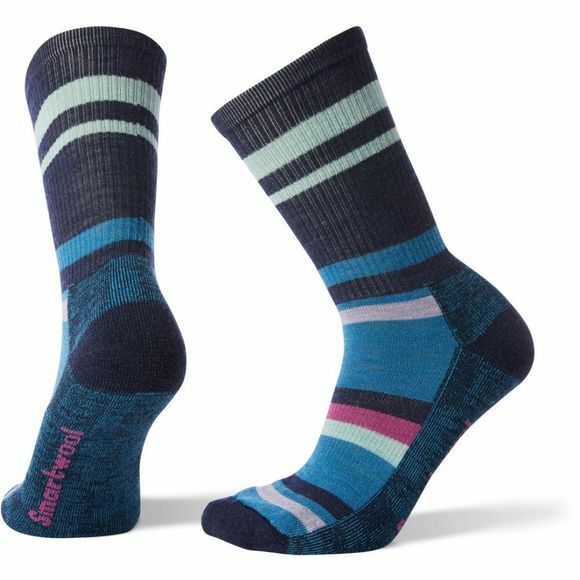 The Women's Hike Striped Light Crew Socks from Smartwool use a light, half-cushion that is perfect for moderate hiking. Designed for a woman's foot, these socks feature an arch brace that holds the sock in place and adds additional support. Flat-knit toe seams help to keep you comfortable throughout the day.